When the temperatures fall, there's nothing more comforting than tucking into a bowl of soup. Just throw all your ingredients into a pot and you'll be warming up in no time. 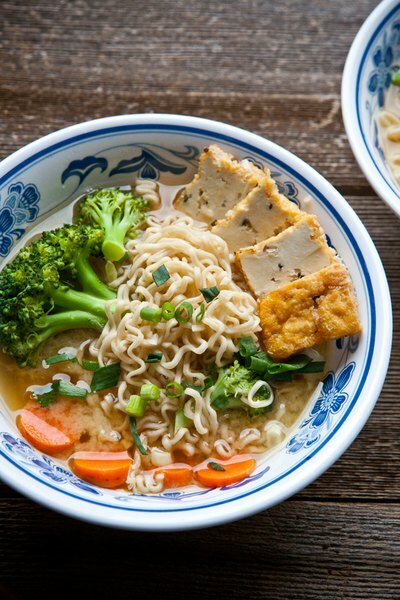 From classic chicken noodle soup to miso noodle soup, you'll be sure to find a recipe for healing nutrition and soul-soothing comfort. Ham -- like its brother, bacon -- is a standard in comfort foods. It's no wonder why from Easter to Christmas, many holidays and life's milestones are celebrated with a tender, juicy ham. 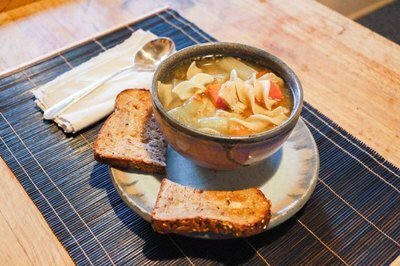 Give your leftovers a second life with this convenient slow cooker ham soup recipe! Chock full of veggies, Great Northern beans, beer for depth, and savory ham, it is truly a feast in a bowl! 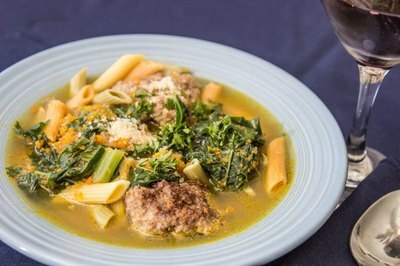 Nothing is as cozy and joyful as Italian Wedding Soup, beautifully named for the wondrous harmony of meatballs, pasta, egg, parmesan, and tender greens. 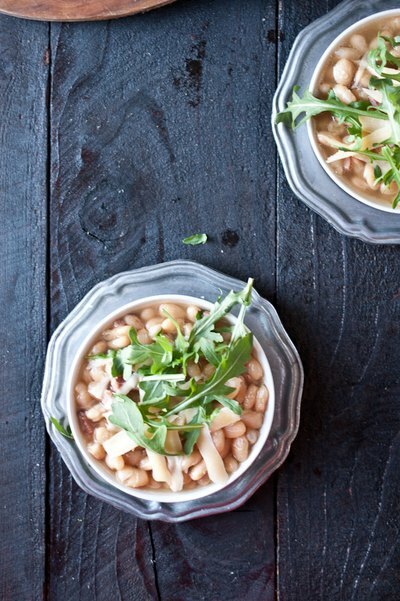 Serve it as a special occasion meal on a cold, wintery night! Who can resist a good chowder? 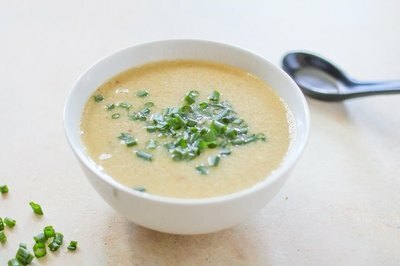 Soothing and creamy, chowders are always a crowd pleaser. 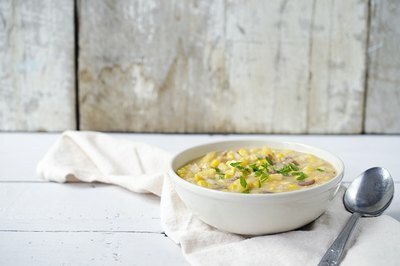 This recipe for Bacon Corn Chowder perfectly blends the smokiness of bacon and the subtle sweetness of corn in a delightful farewell to summer. For a quick and healthy meal, try this Miso Noodle Soup! The miso paste adds umami and depth, while the jolt of lime brightens up all the flavors. In just 10 minutes, you'll be happily slurping this up! Let's face it -- today's busy times can make it difficult to eat well. It's time to clean out your system with this simple and light lentil soup! 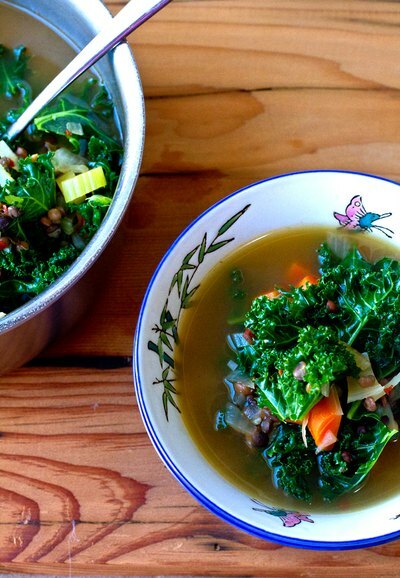 Loaded with superfoods, lentil and kale, this soup is incredibly nutrient dense. Added bonus: this recipe is only 3 simple steps! The ultimate in comforting soups, no other reigns supreme as Chicken Noodle Soup. Whether you're nursing your ego or a cold, treat yourself to a bowlful of nostalgia with this gentle remedy. 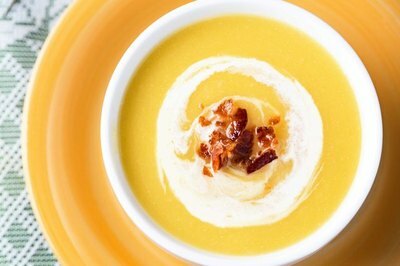 Pumpkin soup is a golden, warm, and savory classic. Undeniably soothing and so customizable, you can have an adventure of epic flavors without straying too far from home. Best of all, it's loaded with vitamins A and C! Easier to prepare than you might think, egg drop soup is one recipe you need to master. (Because, why not?!). Make it the traditional way, or load it up with shrimp, chicken or veggies to make it a heartier meal.